This winter I had the pleasure of filming a First Look Video and Wedding highlight for the Egans. The whole event started as an adventure! I was woken in the dark hours of the morning to a phone call from the groom, it turned out that the best made plans were no match for mother nature that day. We had intended to shoot bridals/first look video in a canyon but during the night a front had dumped massive amounts of snow. As we talked I peeked out my blinds to see more snow than I had seen all year, and it was still coming down in masses. 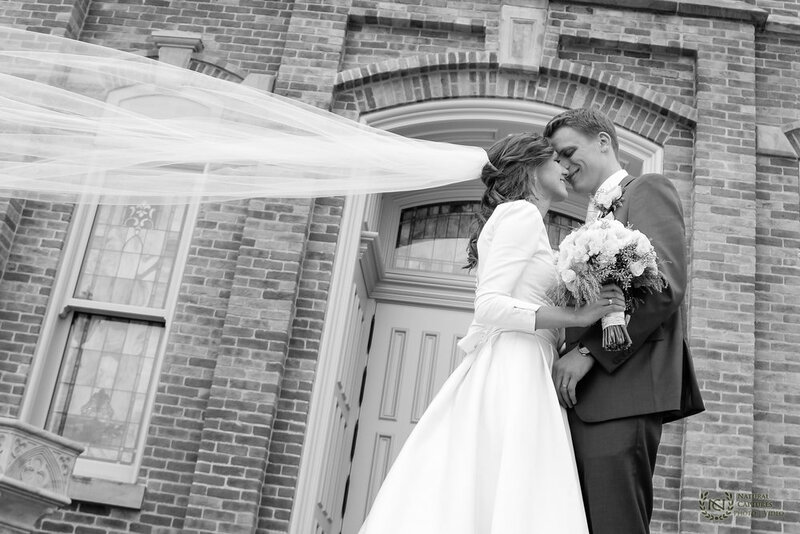 We quickly brainstormed for some easier locations and settled for a location more "on the way" to the temple as to avoid delays by traffic, weather, etc... We had a short window of opportunity before the cute couple needed to be at the Provo City Center Temple but we went for it. The risk was well worth the pay off.